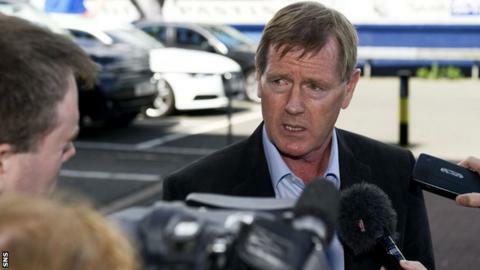 Dave King believes Police Scotland's enquiries into comments made by Rangers chief executive Graham Wallace should extend to the rest of the board. Officers are investigating a complaint that Wallace made misleading statements about finances at December's AGM. King expects the rest of the board to be included in the probe. He believes Wallace spoke with their consent and that they did not challenge his assertion that there were sufficient funds in place. The former Ibrox director was also starkly critical of Wallace's business review. The results were published last Friday, 127 days after Wallace announced the review at the AGM. At the same meeting, he insisted there was enough cash in the bank to run the club until May. Yet in February, a £1.5m loan was sought from two shareholders to meet running costs. A supporters group, the Union of Fans, has called for Wallace to be suspended after a shareholder complained to police that he felt the remarks constituted a breach of the Companies Act. Rangers maintain that the complaint has "no grounds" and chairman David Somers described King's latest comments as "fictitious, inaccurate and misleading". King, though, is adamant that Wallace and his fellow directors were aware that there was a cash shortfall. "It is seriously wrong for this board to state in the review that at the time of the AGM the board, and the CEO in particular, believed that there was sufficient cash to last until the end of the current season," said King. "It is beyond doubt that the CEO and other board members [were] aware last December that there was insufficient cash. The CEO is now subject to a criminal complaint, but I believe that his comments were made with the full knowledge of the board. "Certainly no one came out to contradict him. We should therefore expect any criminal investigation to extend to other board members. It is telling that Charles Green had to step down when under internal investigation and yet the CEO continues with his duties. "If cash was wasted as a result of mismanagement - presumably Charles Green etc - then what steps are being taken to hold management accountable for this?" The review stated that 43,400,000 unissued shares could be sold on a pre-emptive basis - to current shareholders - to raise funds if there is a shortfall in season ticket sales, and that a future share issue to raise equity for investment will be proposed to shareholders in "autumn 2014". King wants to invest in the club, in return for control over how the money is spent. "This flimsy review is completely superficial and could have been put together in a day by a relatively junior employee," the South African-based businessman added. "It falls well short of the strategic business review that we were promised. There is nothing to read between the lines, no sign of a coherent plan to save this club, and more importantly no hope for the supporters or shareholders. "I would reject it if one of my CEOs presented such a summary review to me. In truth, it is this board's stubborn refusal to secure fresh equity that is the cause of the present fragile state of the club's finances. "The board clearly hoped to muddle along by using the season ticket advances from fans. This review should reinforce to fans that this board cannot serve as an appropriate custodian for their season ticket money. "Fans could once again lose their season ticket advances if given to the club at this time. It is unconscionable that this board has done nothing to bolster the finances since the last AGM." Wallace's review also blamed the potential withholding of season ticket renewal money - the UoF are setting up a fund as an alternative for fans to pay in to - for the decision of FirstData to seek security in return for processing credit card payments. This was declined by the board, and fans now cannot pay for season tickets using credit or debit cards. However, it has since emerged that the finance company raised their concerns one month before the trust fund idea was raised. "It is interesting that the credit card companies agree with me that the season tickets should not be released to the club," King said. Rangers chairman David Somers branded Dave Kings's comments "inaccurate and misleading"
"However, it is genuinely shocking that this board has, for several months, withheld the knowledge that fans would not have access to credit card facilities when renewing season ticket purchases." Rangers chairman Somers, however, defended Wallace, and hit out at King. "Graham Wallace is working tirelessly and doing an excellent job in leading the rebuild of our football club by creating a Rangers our fans can be proud of," Somers said in a statement. "He will continue to develop the club's long-term future plan which will return us to the top of Scottish football and competing in Europe. "Any suggestions of inappropriate behaviour by him in relation to his duties as chief executive officer are odious and unfounded. They will be defended with full rigour, if a substantiated complaint is ever put to him or Rangers. 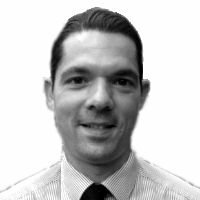 "The history and facts have been explained in both the Interim Statement and the Business Review summary. Any media reports to the contrary are based on rumour and gossip, which is damaging to the football club. "If Mr King wishes to engage in constructive dialogue, then the door remains open. Regrettably, however, he continues to make fictitious, inaccurate and misleading comments which are very unhelpful."